I arrived at this amazing place, in the Canadian Rocky Mountains, in early November with the hope of capturing flowing water in a winter landscape. But the temperature was so cold that most of the Stella Falls was frozen. 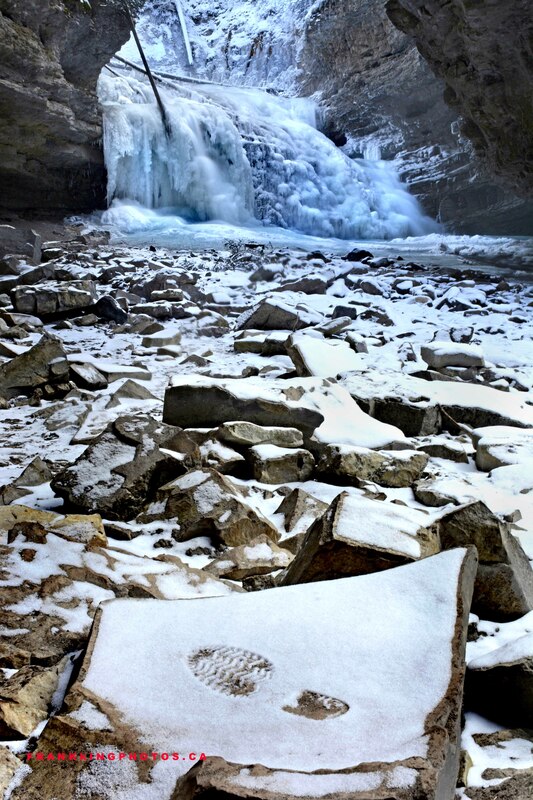 So I wandered around making other pictures, then found one of my footprints made a great foreground subject with Stella Falls in the background. A wintry scene made special by that one lone footprint. A clever image, Frank.